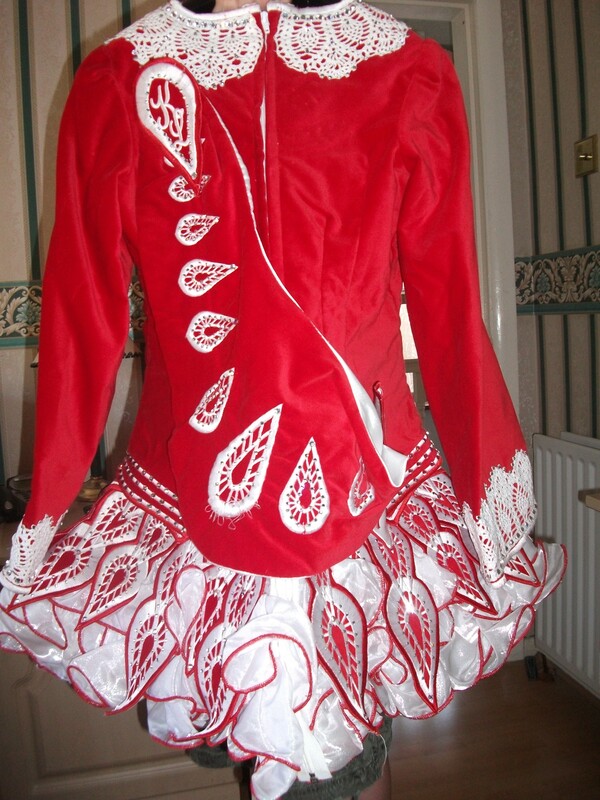 Beautiful Shauna Shiels two piece dress hardly worn due to a growth spurt. 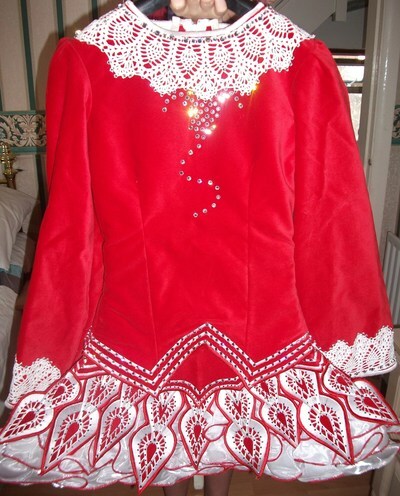 Made entirely of luxurious cherry red velvet and covered with hundreds of genuine Swarovski crystals. 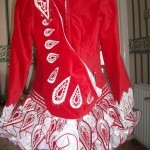 The skirt has small panels and shimmering white ruffles edged in red. 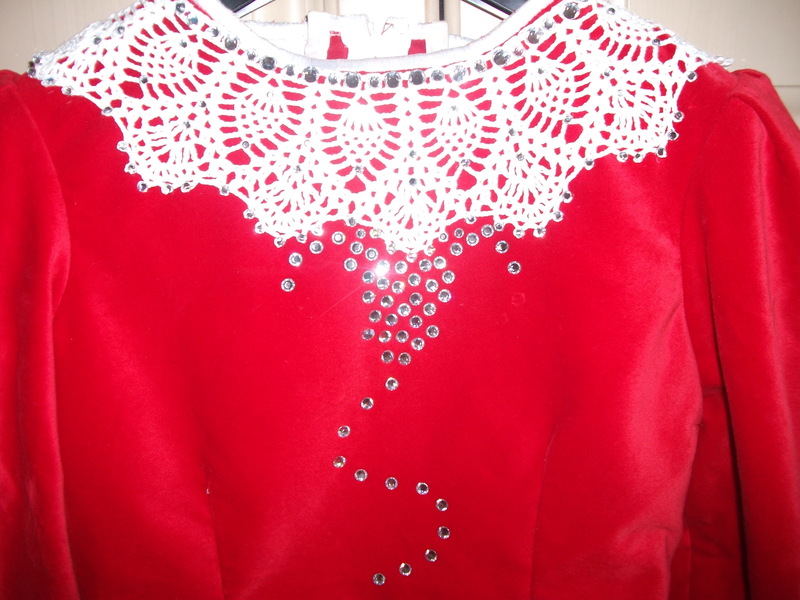 The white crocheted collar and cuffs were custom made in Canada and the embroidery is designed with the same pattern. 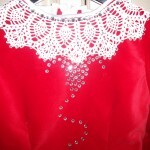 There is a soft shawl in red velvet. The dress is so simply elegant and yet stunning on stage. Comes complete with bloomers and headband. Asking Price: £330. Shipping costs are not included in the asking price. Sale is final.